At North Shore Day Camp we take great pride in a professional staff development program that includes an extensive recruitment and interview process, background checks, and an ongoing, extensive training program unsurpassed in the camping industry. Our multiple in-season staff evaluations, backed up by performance based bonuses, have no equal in the summer camp profession. North Shore is known for its ideal group size and exceptional staff. With excellent staff to camper ratios, we ensure the best possible care and supervision so that we can keep YOU informed. Division Leaders and counselors review each camper’s day, EVERY day. Phone calls are made home regularly by Division Leaders to keep you up to date regarding everything from your child’s swim progress to new friendships to what they ate for lunch. 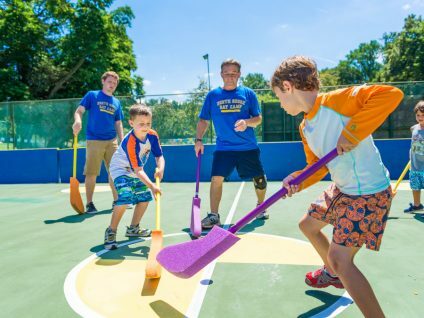 We believe that communication is essential in facilitating the most secure environment for our campers and we look forward to partnering with our camp families every summer. To promote the highest standard of professionalism, unlike any in its class, North Shore Day Camp adheres to a strict NO TIPPING POLICY for its staff. 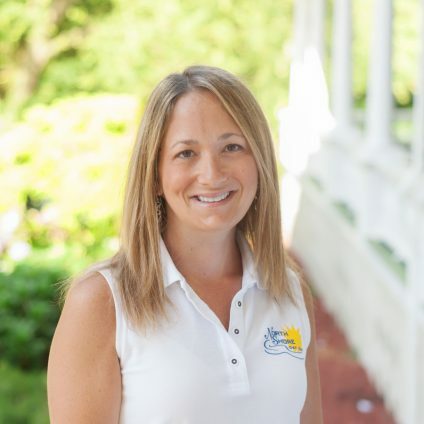 Our Leadership Team is a highly trained and dedicated group of educators and camping professionals with exceptional experiences working with children. All prospective staff undergo a thorough interview process and background check. Our unique evaluation process requires our Leadership Team to work closely with their counselors as they are responsible for delivering performance-based bonuses. These bonuses are given to counselors in lieu of tipping, which is strictly prohibited at North Shore Day Camp. Our staff salaries, among the highest in the industry, ensure a wide pool of quality applicants and keep our quality staff returning year after year. Marisa is very excited to be returning for her second summer as our Division Leader for our Nursery campers. After graduating with a Masters Degree in Early Childhood and Elementary Education from Bank Street College, Marisa taught in both public and private schools in New York City and then ultimately becoming the Director of Education at The Children’s Aid Society Nursery School in Greenwich Village. After taking some time off to start a family, she now works as a teacher in the Manhasset school district. Marisa’s children, 4 & 5 years old, love going to NSDC just as much as Marisa enjoys working here! Aubrey is entering her 9th summer at NSDC! This summer will be her second year as a Division Leader. Aubrey spent last summer with the 1st grade girls and now is making the move back to Stepping Stones overseeing our Pre-K campers. Aubrey spent her first 7 summers at NSDC as a Group Leader for the 5 year old girls. From day one she loved camp and could not wait to come back year after year. Aubrey is currently working for the NYC DOE as a 2nd grade ENL (English as a New Language) self-contained teacher. She has been working as teacher for 16 years. She holds a Bachelor’s Degree from SUNY Cortland, her Master’s Degree in Literacy, and her Second Master’s in ENL (English as a New Language). 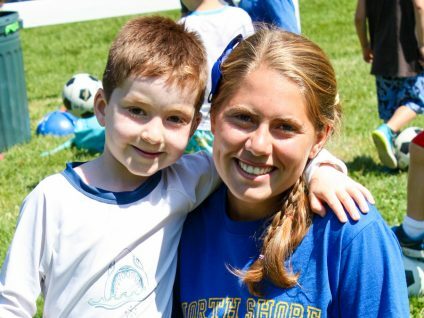 Aubrey is also a proud mother to her 3 year old son Liev who will be attending NSDC for his second summer! Aubrey’s love for camp and children is something she wants Liev to love just as much as she does! It is such a great experience to learn about our STARFISH Values Program and to meet new people and have a blast! The positive environment that camp instills is something she wants to continue to build inside and outside camp! This will be Felisa’s 12th summer at NSDC. 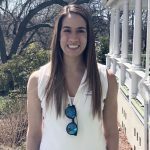 She spent her first three summers as a group leader, playing and laughing with her campers, before becoming a Division Leader for our Kindergarten girls. “I am very excited about my leadership role at NSDC and spending another wonderful summer making sure my campers have a summer filled with lots of fun and friendships!” During the school year, Felisa is a reading teacher at the Lakeville Elementary School in Great Neck. Lindsay is entering her third summer with NSDC as a Division Leader for our Kindergarten boys. 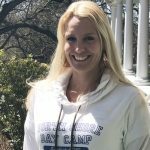 With a Masters Degree in Elementary Education from Adelphi University, she has over 14 years experience working with children both in and out of the classroom – Lindsay has worked as a teacher with the New York City Board of Education, Director of Youth and Adolescent Services for the Samuel Field Y and Teen Director for the Samuel Field Y Day Camp. 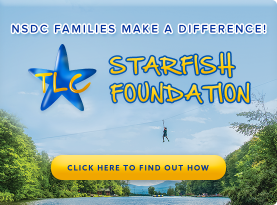 After sending her eldest daughter to North Shore for her first summer and witnessing the impact that the STARFISH Values program can have, Lindsay decided she wanted to be part of the amazing environment created at NSDC! Lauren is entering her 7th summer at NSDC and her first year as a Division Leader for our 2nd grade girls. Lauren could not be more excited to embark on this new adventure! Over the past six summers, Lauren has worked as an Assistant Division Leader for Grades 3-6 and a Group Leader for 1st Grade Girls. Lauren is currently working as a 3rd Grade, Special Education Teacher with the NYC DOE. With a Bachelor’s Degree in Early Childhood & Childhood Education from LIU C.W. Post and a Master’s Degree in Special Education from Queen’s College, she has over 8 years of experience working with children both inside and out of the classroom. Lauren also works as a Program Leader for a Creative Arts-Respite Program for children with Autism at Life’s WORC. Lauren loves the fun, excitement, and positive values that North Shore and the STARFISH Values pogram have to offer. She can’t wait for her campers to experience this summer after summer! 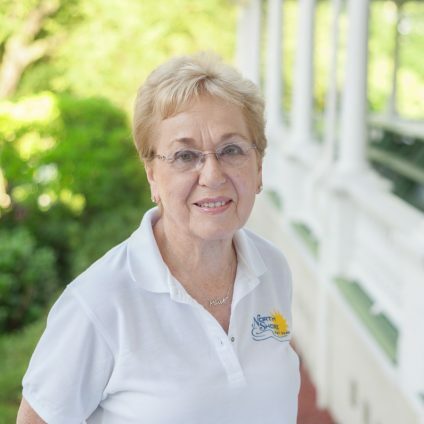 Judi comes to us with many years of resident camp and day camp experience. This will be Judi’s 19th summer with us. 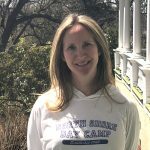 “I love sharing in the many positive changes that the campers and staff experience, from the time they first arrive at the beginning of the summer, through their last day of camp.” During the rest of the year she is also our Associate Director for our camp and school. 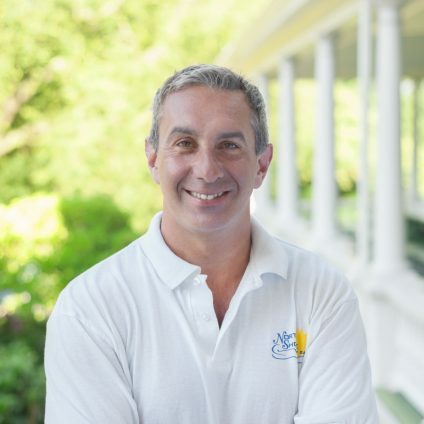 Mike has been working with the TLC Family of camps for the past 11 years. 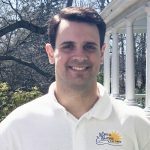 First as a general counselor at North Shore Day Camp, then as the Program Coordinator at Hampton Country Day Camp, and now he is back at North Shore as a Division Leader. His role throughout the year includes hiring counselors for boys side and specialty areas, as well as parent correspondence. Shaqunna better known as “Shaq”, has been apart of the North Shore Day Camp family for over 15 years where she has worked as a Group Leader for the first grade boys division. 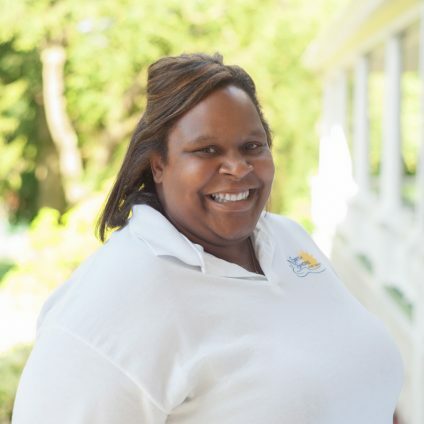 Shaq, has over 17 years of experience working with students with special needs as a educator for the New York City Department of Education, where she embraces her love for learning, her love for children, and her desire to create a safe learning environment for all students. In addition to her merits in education, Shaq is highly trained in positive behavior interventions, peer mediation and conflict resolution. Shaq is elated to begin her new role as Division Leader for boys in grades 3-6, where her personal mission is to “fill her campers bucket of confidence and self-esteem so high that no one can poke holes in it”. Shaq’s favorite quote is to ” Believe in yourself and you can do unbelievable things”. Shaq is looking forward to another amazing summer at NSDC, where she builds walls of confidence one brick at a time. Adam is looking forward to another great summer at North Shore Day Camp. He returns to NSDC for a 14th summer, and after three years as a Division Leader for our 3rd-6th grade boys, he is now leading our CREW campers. Adam spent his first 9 summers as the Assistant Director of Transportation. During the year, Adam is a Math Teacher at John Bowne High School in Flushing. 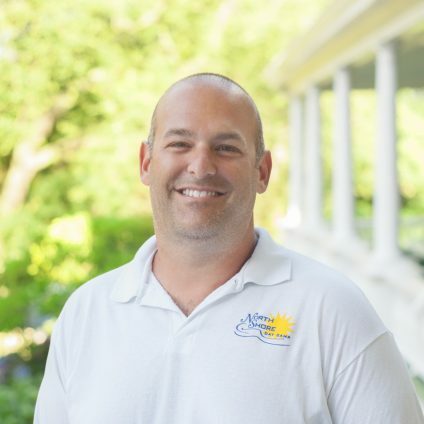 Adam has a contagiously positive personality and he hopes to use his vast day camp experience to help all the campers in his division have the greatest summer of their lives. Miss Ruthie has been our year-round office manager since 1993. 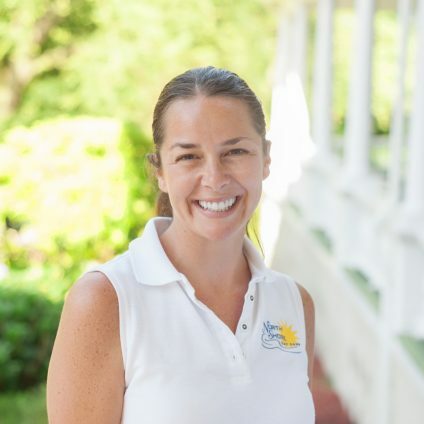 She says that her priority is to make sure that all families feel comfortable enrolling their children at camp. Yet we all know that she is and does much, much more than that. She is the epitome of the loving, nurturing environment that is the essence of North Shore Day Camp. Jillian is excited to be stepping in as the Assistant Swim Director this summer. 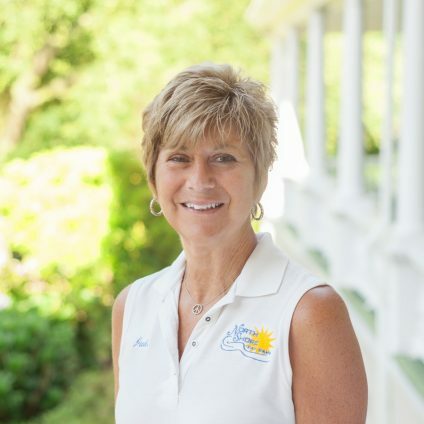 She has been working as a lifeguard and swim instructor since 2000 and has taught all different ages and swim levels in the pool. 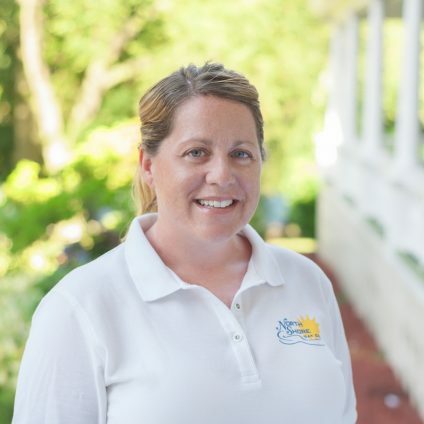 She loves to teach at NSDC because she gets to watch the kids grow, become stronger, and gain more confidence in the pool throughout the summer. Jillian has her Bachelors degree in Psychology and Masters degree in School Counseling both from Long Island University. Outside of camp she spends the year raising her 3 kids Mason, Logan and Lily. They are all excited for another great summer with their TLC Family.